The class of 2013 of the affiliated high school to the University of Johannesburg (UJ), UJ Metropolitan Academy, produced a 100% pass rate with the release of the Grade 12 results. This is the 19th year a 100% pass rate was obtained since the School’s inception 21 years ago in 1992. 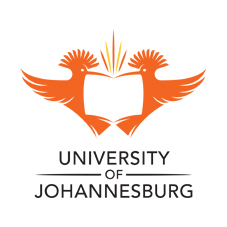 UJ Metropolitan Academy, a school in Crosby, near Brixton in Johannesburg, caters for selected high-school learners from disadvantaged communities who demonstrate potential for success in studies at higher education institutions. A total of 188 distinctions particularly in mathematics, science, economics and accounting, are among the reaped fruits. 87.5 % of the 88 learners who wrote the National Senior Certificate examinations qualify for Bachelor’s degrees and 12.5 % for National Diplomas. “The success of the school can be contributed to strong and visionary leadership and committed teachers who care deeply about the academic and personal well-being of the learners,” says Professor Saartjie Gravett, Executive Dean of the Faculty of Education at the University. The Faculty serves as the school’s custodian. In 2013, the University’s Council honoured Ms Westerberg, the school principal with the prestigious Ellen Kuzwayo Award, for her sustained exemplary leadership in providing excellent education to children from disadvantaged communities at the UJ Metropolitan Academy.